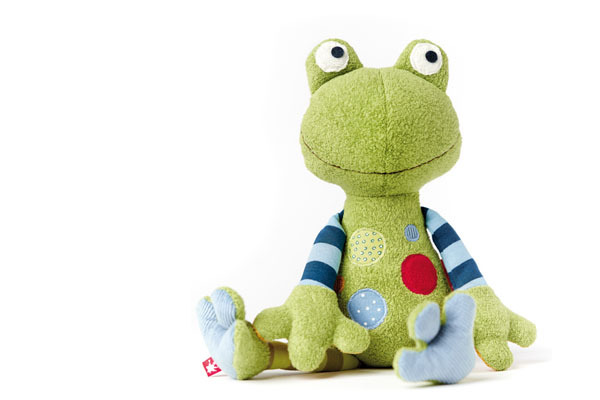 This little sea creature encourages babies to grab, explore and touch the world around them. 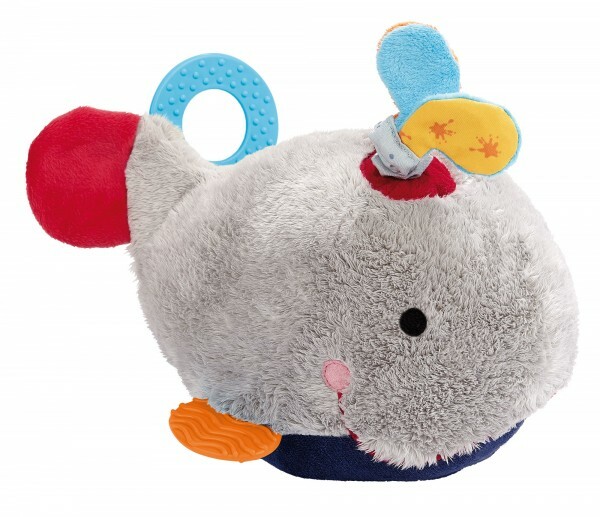 His fins make exciting sounds when babies touch them, the vibrating rattle in his head will peak little ones’ curiosity and the teething rings provide soothing relief for first teeth. 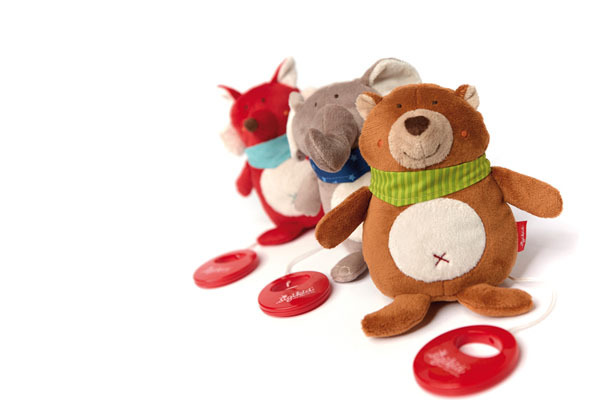 Different functions appeal to all senses: Rustling film, little bell, vibrating rattle, squeaker and teething ring. Soft and cosy material encourages the tactile senses.